Ansel Adams couldn’t stop taking pictures. John Muir fell in love and didn’t want to leave. Teddy Roosevelt went on a life-changing camping trip. Isn’t it high time you visited Yosemite? Yosemite is an all-season park, and it is dynamic! Springtime showcases the park’s celebrated waterfalls and sweet scent of the giant redwood forest. Summer lures hikers to flower-filled Tuolumne Meadows and to watch climbers make their way up “El Cap” in Yosemite Valley. Fall is a photographer’s dream with clear skies, reflections on glassy lakes, and changing leaves. And winter invites you to ski and snowshoe in not-too-cold temperatures with few other people around. Yosemite is calling, and you must go! 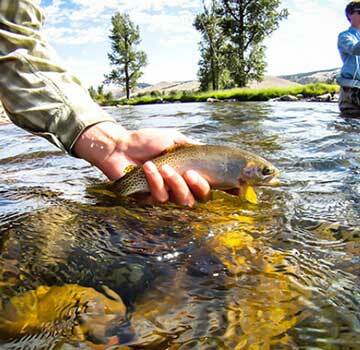 OBP offers many ways to travel: Custom Journeys, Small Group Adventures, Fly Fishing Expeditions & Ranch Vacations . Yosemite is one of those pilgrimage parks for people who love nature and the outdoors. There’s so much to see here, so much to learn and experience. Our guided group trips are led by naturalist guides who know the park inside and out. 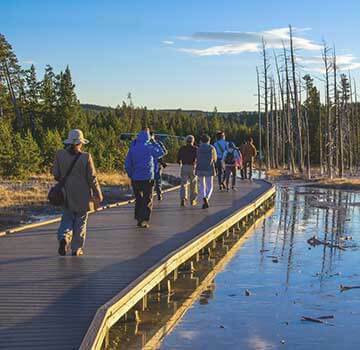 Off the Beaten Path group tours are small and nimble enough to keep you away from the crowds as much as possible, yet still get you to the important spots like the Mariposa Grove of giant sequoias and Yosemite Falls. Our private custom trips are equally nimble because you set the pace and the tone. Are you ready to introduce your family to Yosemite? Would you like to hike in the footsteps of John Muir? 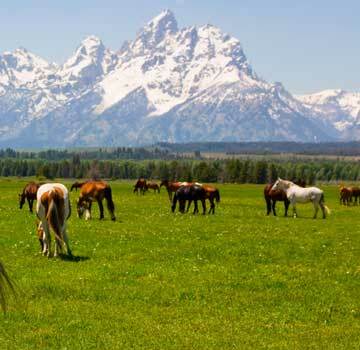 Do you just want a national park vacation that is more interesting than the normal interpretation of a national park vacation? If so, we think you’re a perfect candidate for one of our Yosemite small group trips or private custom journeys. There are several areas to visit in the park. Yosemite Valley is world famous for its impressive waterfalls, meadows, cliffs, and unusual rock formations, and is accessible by car year-round. Mariposa Grove of Giant Sequoias (near the South Entrance) is the largest stand of giant sequoias (also known as Sierra redwoods or big trees) in Yosemite. The road to the Mariposa Grove is not plowed in winter and is often closed November through March. Wawona is the home to the historic Wawona Hotel (now called Big Trees Lodge), dating from the late nineteenth century. The Pioneer Yosemite History Center, a collection of historic buildings, is located just over the covered bridge from the hotel. Wawona is accessible by car year-round. Glacier Point (30 miles and one hour from Yosemite Valley) offers a gorgeous view of Yosemite Valley. The road is closed from November through early May or late June, depending on winter snowfall. Crane Flat (16 miles from Yosemite Valley) is a pleasant forest and meadow area, accessible by car year-round. Tioga Road and Tuolumne Meadows. The Tioga Road (Highway 120 East) offers a 39-mile scenic drive between Crane Flat and Tuolumne Meadows. There are many turnouts and the road is generally open to vehicles from spring through sometime in November. Tuolumne Meadows is a large, open, sub-alpine meadow graced by the winding Tuolumne River and surrounded by majestic peaks and domes. From November through spring, the area is only accessible by cross-country skis or snowshoes. Hetch Hetchy is a lesser known twin to Yosemite Valley. The road to Hetch Hetchy is open year-round during daylight hours, and closes periodically due to snow in winter and spring. Mist Trail to Vernal Fall (1.6 miles to the bridge, 3 miles to the top, strenuous, Trailhead at Happy Isles Shuttle Bus Stop) is nearly all uphill, but once you get to the footbridge, you get a view of the beautiful 317-foot Vernal Falls. If you’re willing to travel farther, you’ll be rewarded with views that get continually better. Before topping out at the top of the waterfall, you’ll be required to ascend 600 well-spaced granite steps! In spring and early summer, when the waterfall is at its peak, plan to get wet—the misty part of the Mist Trail! Mist Trail to Nevada Fall (7 miles, strenuous, Trailhead at Happy Isles Shuttle Bus Stop) takes you from the top of Vernal Fall (follow hiking trail above) and beyond, up more granite steps, to the top of Nevada Fall. Half Dome (17 miles, very strenuous, Trailhead at Happy Isles shuttle bus stop) is considered by many to be the ultimate Yosemite hike. Note that the cables used by hikers up the last 900 feet are only up from late-May through early-October. It is recommended that you not ascend to the top of Half Dome if thunderclouds are visible anywhere in the sky due to exposure. Glacier Point (9.6 miles round trip, Trailhead at Four Mile Trailhead just west of Swinging Bridge Picnic Area) takes you up switchbacks to the Glacier Point, along the rim of Yosemite Valley. The trail offers spectacular views up and down the valley from your vantage point at 3,214 feet. You can do a loop by returning along the Panorama Trail. Upper Yosemite Fall (2 miles to Columbia Rock or 7.2 miles to the top) takes you to the top of the 2,425-foot Yosemite Falls, providing great views of Half Dome and the eastern portion of the Yosemite Valley. El Capitan is a massive monolith and the largest single exposed granite rock on earth, standing 3,593 feet from base to summit. Rock climbers from around the world come to challenge their abilities on the face of El Capitan, and the stories of these climbs are endless. If you want to have a look at these adventurers, use the turnout along El Capitan Meadow and you’ll see them inching their way up the sheer walls. In addition to seeing a climber heading up, you might see a peregrine falcon making its way down, as they like to hunt from El Cap’s precipice. Half Dome is the quintessential view many carry in the minds of Yosemite. Bold and imposing, it stands at 8, 842 feet and is young in age—roughly 90 million years old—compared with the other monoliths of the valley, with glaciers having carved its rugged face. Sentinel Dome (2.2 miles round trip, Trailhead 10 miles up the Glacier Point Road) is an easy hike to a spectacular viewpoint sitting at 8,122 feet. While the view is similar to that which can be had via a drive to Glacier Point, you might consider it more rewarding since you arrived using your own manpower. Mariposa Grove of Giant Sequoias (From 1.6 to 6.9 miles depending on your choices, Trailhead at Mariposa Grove) takes you past as many of the most famous Giant Sequoias as you’d like to see, such as Fallen Monarch, Bachelor and Three Graces, Grizzly Giant, and the Tunnel Tree. The hike is moderate. If you go all the way out you can visit the small visitor center and museum—no food or drinks—which sits in one of the most picturesque groves in the area. Tuolumne Grove of Giant Sequoias (east of Crane Flat on the Tioga Road) and the Merced Grove of Giant Sequoias (Big Oak Flat Road east of Big Oak Flat Entrance) are small groves, each with two dozen mature giant sequoias. In order to marvel at these trees, you must hike one mile to the Tuolumne grove and 1.5 miles each way, respectively. Note: On both trails, there will be a 500 feet of elevation loss on the way to the grove – and hence, 500 feet of elevation gain on the way back. Be sure to bring plenty of water! Yosemite is also known for its waterfalls, which launch themselves from the park’s sheer granite cliffs in a variety of sizes and shapes—tall, wide, thundering, misty, and wispy! Keep in mind that the waterfalls are most impressive in spring and early summer and become less so as the summer goes on. Yosemite Falls (Upper 1430 feet, Middle 675 feet, Lower 320 feet) is the tallest in North America and fifth highest in the world. Bridalveil Fall (620 feet) is pushed side to side by powerful breezes. Ribbon Fall (1612 feet) flows off a cliff on the west side of El Capitan and is the tallest single fall in North America. Illilouette Fall (370 feet) is visible from a distance on the Mist Trail. Horsetail Fall (1000 feet) is known for its potentially spectacular fiery appearance at sunset during a short window of time in February. Vernal Fall (317 feet) and Nevada Fall (594 feet) can both be seen on the Mist Trail and are wide and powerful and eventually feed the Merced River. Le Conte Fall and Waterwheel Fall cascade into the Tuolumne River in Yosemite’s high country. On March 1, 2016, Yosemite’s landmark, historic Ahwahnee Hotel and Curry Village, as well as other well-known and beloved Yosemite landmarks, were required to change names due to a dispute between the former concessionaire and National Park Service. The concessionaire claims that it was required to purchase the names from the previous concessionaire, and is charging $50 million for the rights to these names. The National Park Service claims that these names were never part of the original concessionaire contract, and that if they were, they are worth more like $3.5 million. Alternative names are now in place —Majestic Yosemite Hotel for the Ahwahnee and Half Dome Village for Curry Village. The Wawona Hotel is now being called the Big Trees Lodge. Similar situations have occurred for such entities as Central Park’s Tavern on the Green and the Grand Canyon’s Phantom Ranch.